Why is it that as legislators and police get heavier and heavier on speed manufacturers keep coming up with faster and faster cars? 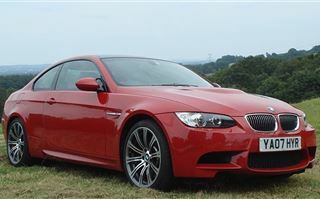 I was bricking it just at the thought of driving the new M3 V8 on the road. Not from fear of crashing, but from fear of being hung drawn and quartered for getting caught using even half its power. 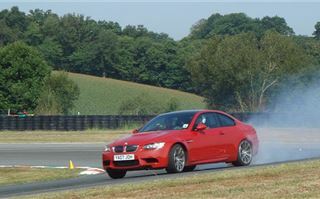 As with previous M3s, the low gearing and huge power means a smooth take off from 1st through the gears is difficult. But you don't have to. The benign nature of the new V8’s torque curve allows you to start rolling in 2nd. Getting tediously technical, it develops 260Nm at 1,000rpm, 340Nm at 2,000rpm and its maximum of 400Nm from 3,500rpm to 6,500rpm. So that’s bags enough to plonk along at 1,000rpm to 4,000rpm without scaring anyone, including yourself. This is a very fast car you can drive slowly. 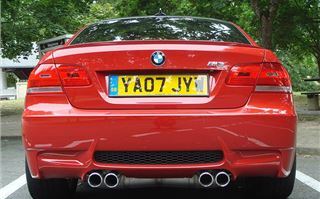 To tempt you not to, power is 250PS at 4,500rpm, 340PS at 6,000rpm, 400PS at 7,500rpm and 420PS at 8,300rpm. But you don’t actually get those last 800rpm and 20bhp unless you press the ‘Power’ button, or pre-programme that into your ‘Mdrive’ preferences. You get three buttons beside the gearlever to punch in ‘DSC off’, three levels of Electronic Damper Control, and ‘Power’. 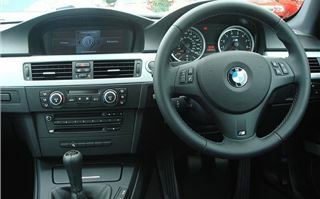 However, Mdrive allows you to pre-select your preferred set-up so you can access it simply by pressing a small ‘M’ button on the steering wheel. 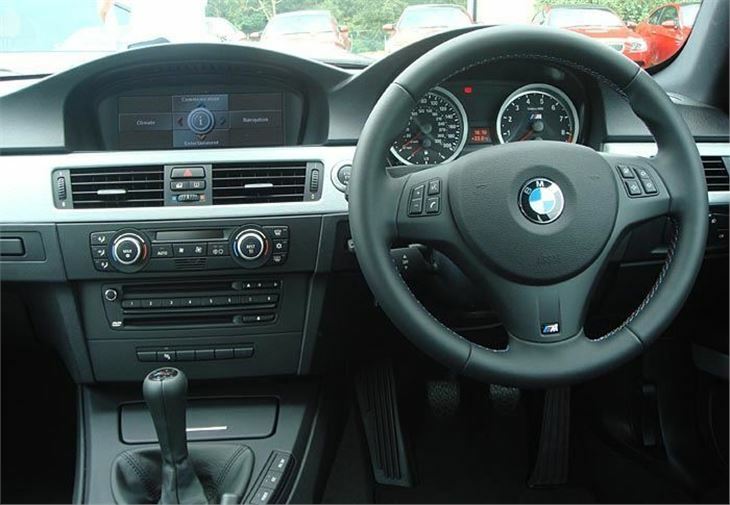 Go into the iDrive menu and, as long as you bought EDC (it’s an extra) you can select comfort, normal or sport. Next, select normal or ‘Sports’ steering (with less assistance and more feel. Next, leave the full DSC on, go for an intermediate level that allows some sliding, or switch it off altogether (we chose intermediate). 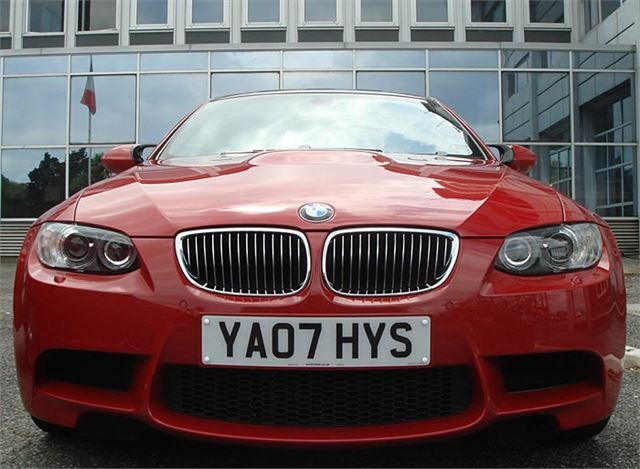 Next, decide if you want normal power output (400PS) or ‘Power’ (420PS) and sharper throttle response. We selected ‘Power’. On the autoroute, it doesn't hang about. It’s geared at around 25mph per 1,000rpm in 6th and the extended rev range theoretically gives you a top speed of over 200mph. But it won’t go as quickly as that and is anyway limited to a ‘sensible’ 155. Light traffic, long sight-lines and no police naturally led to pressing the M button and an instant feeling of greater alertness. Fourth gear acceleration is then phenomenal, and even changing 4th to 5th at 8,000rpm gives you a hefty kick in the back. (The kind of kick you want once.) Through the gears is maxes far quicker than an average driver like me is prepared for. So it was back to cruising at around 100, reasonably quietly and in comfort. 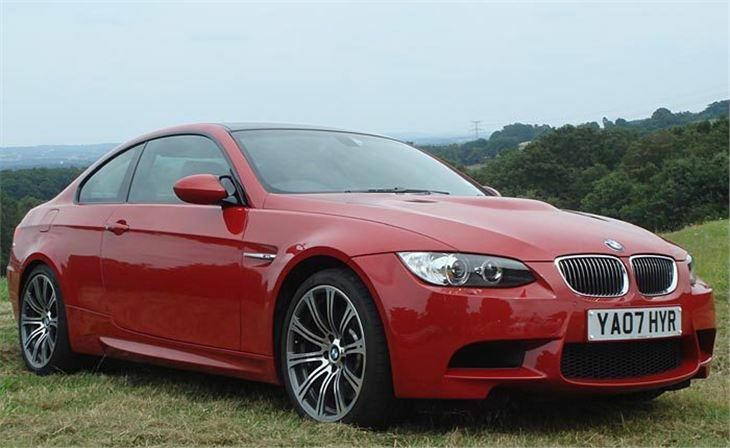 On back roads you can make very rapid progress and of course overtake safely in situations you can’t in a normal car. If you upset the car and get it moving about, it tells you what’s happening at either end and helps you use it rather than biting back. It’s not as confidence inspiring as an Audi RS4 because it isn’t four-wheel drive. 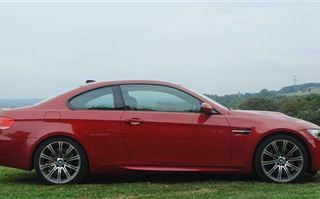 But, of course, M3 buyers don’t want it to be. 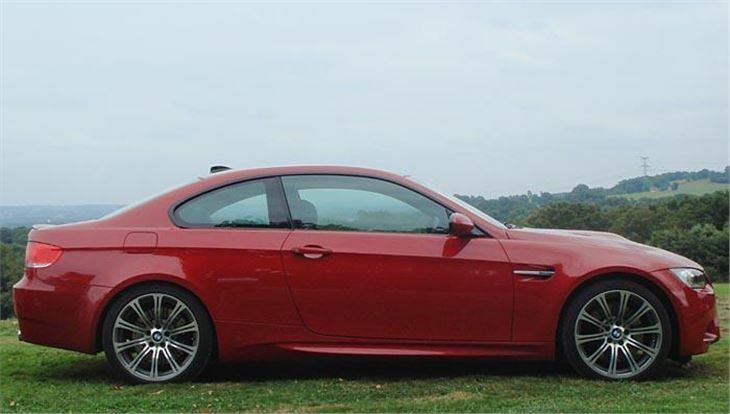 Though the M3 looks like an E92 coupe, it’s actually 80% different, with different body panels, different suspension, different engine, different transmission, different diff. The roof is carbon fibre, weighs 5kg less than a steel roof, and a whole 22kg less than a steel roof with skylight. The bonnet is aluminium. The front wings are plastic. The 3,999cc aluminium alloy engine if built on BMW’s F1 engine production line. I could go on, but it’s all in the specs below. I guess you’d rather find out what it’s like on a race track. Well I’m not skilled enough to give you a race driver’s opinion. I had plenty of fun. I can tell you it grips. There’s lots of feel. There’s more power that I could exploit. 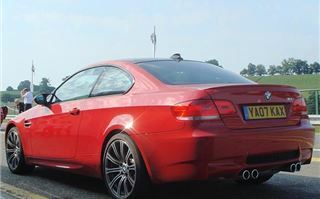 So I went for a couple of hot laps with the M3 Project manager, Ralf Scheibner. He’d set his Mdrive to Power, DSC off, Sports steering, and DSC at ‘Normal’ rather than super-hard ‘Sport’, because of the very twisty nature of the circuit. Corners I’d been taking in 3rd, Ralf took in 2nd gear power-slides, always in control, always enjoying himself immensely and answering my questions as he got on with it. 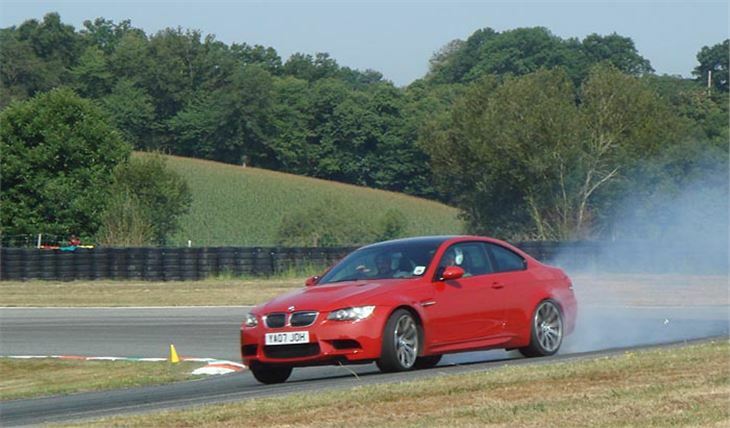 He left a lot of rubber on the track and, of course, it wasn’t the quickest way to drive, but its purpose was to show how the car can be kept under control even with 420PS smoking the back tyres without any interference from DSC. Would I have one? No. I’m not enthusiastic enough. 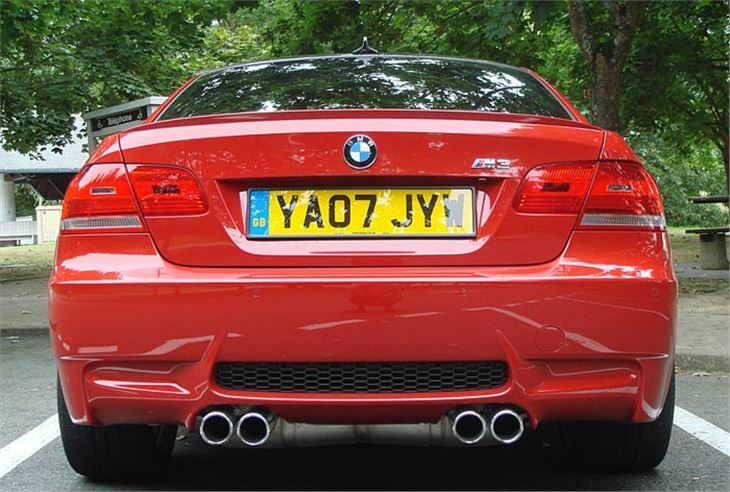 A 335i is as far as I want to go. 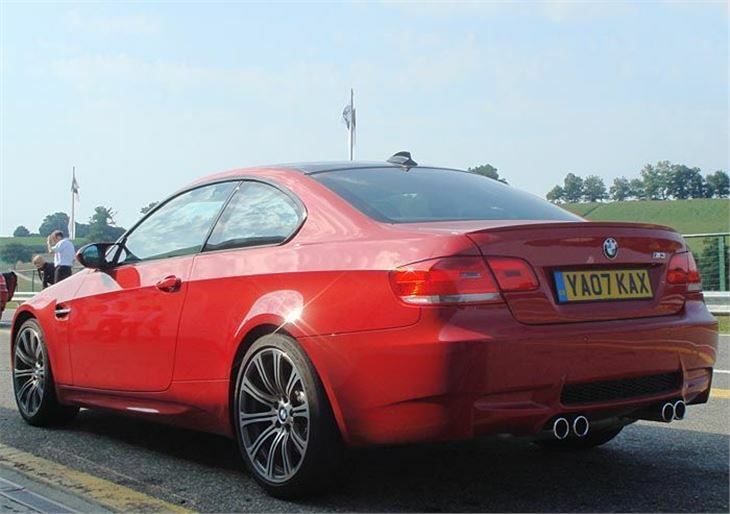 But if you love quick cars, and particularly if you’re an M3 fan, this is the M3 to stop you buying an RS4.